This style runs true to size; we recommend ordering your usual size. 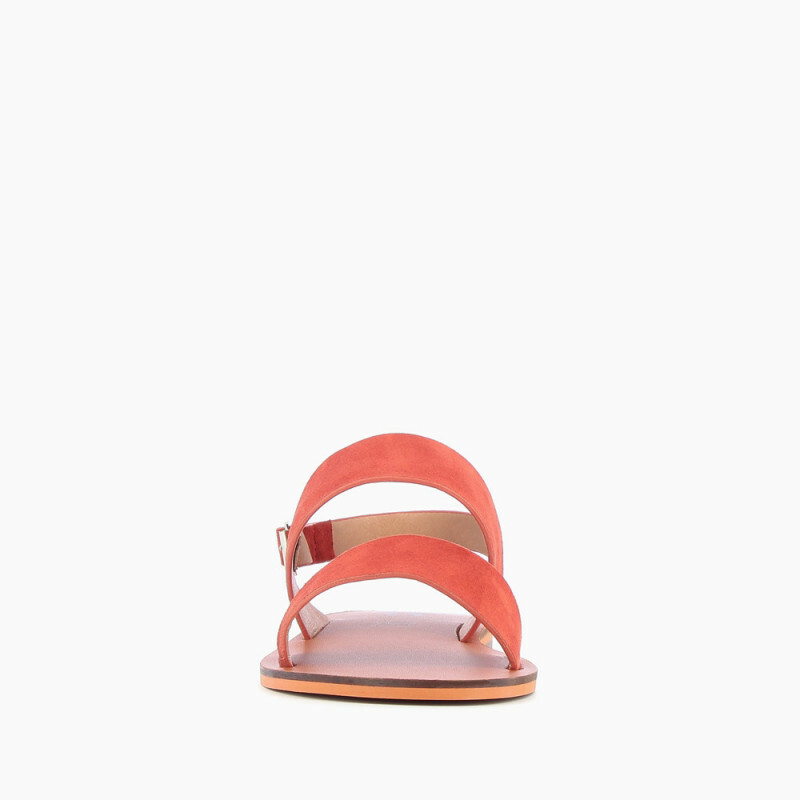 If ordering half sizes, we recommend ordering the next size down. 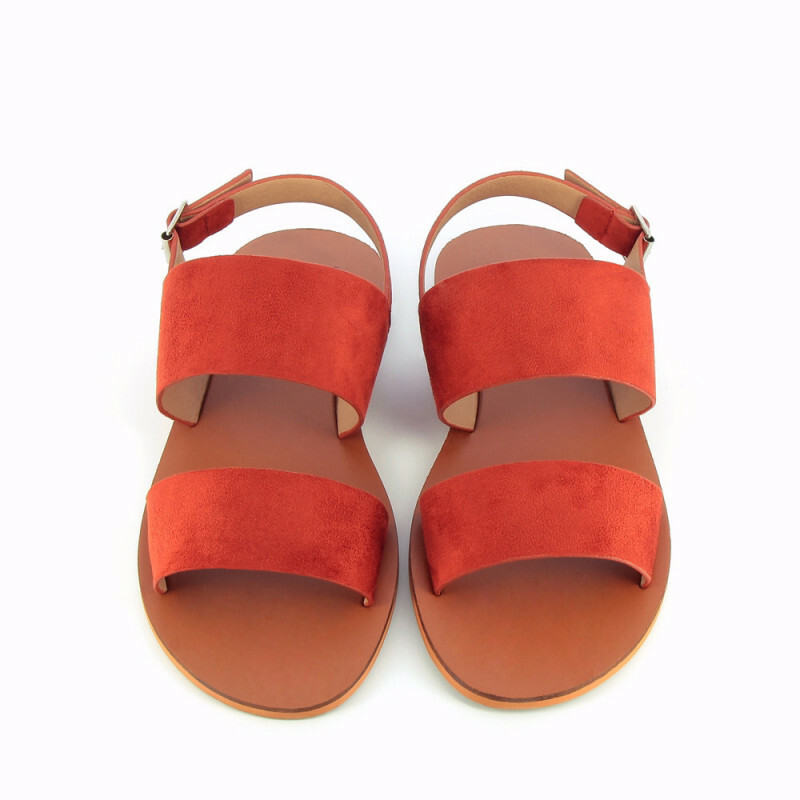 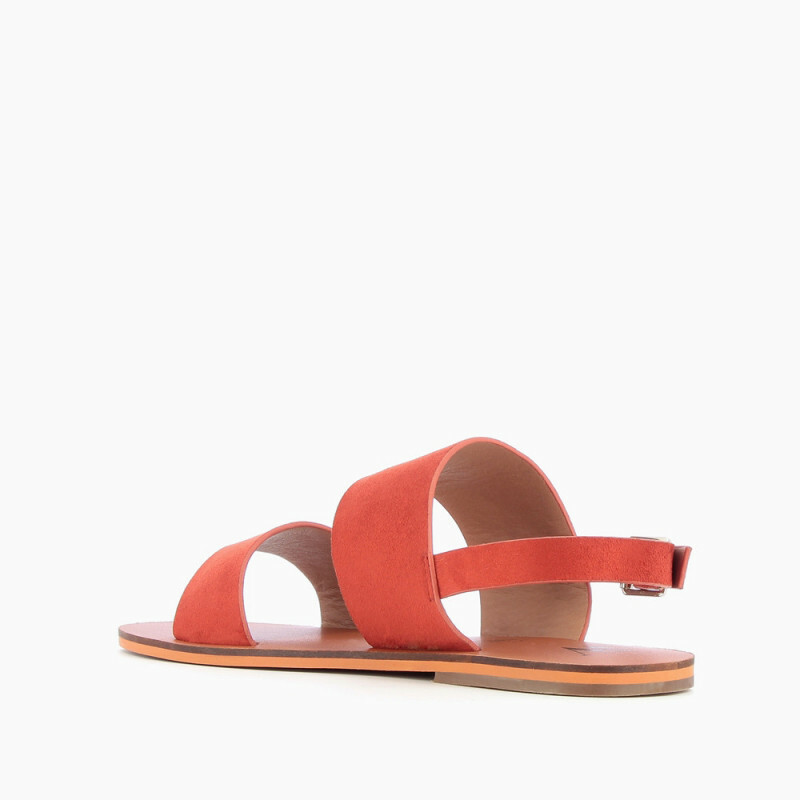 Flat brick red suedette sandals with two large straps. 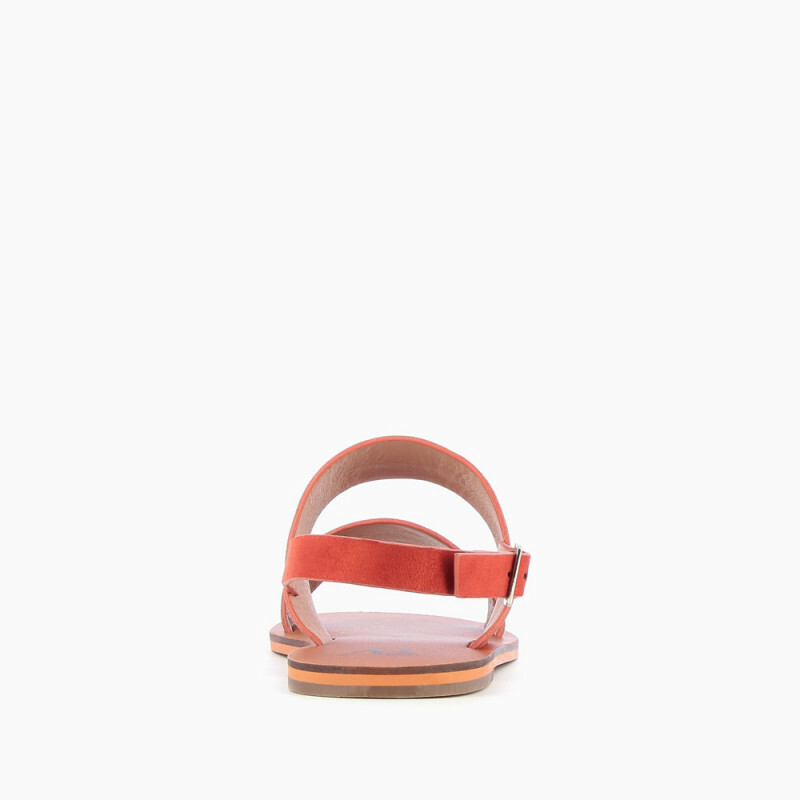 Silver buckle closure at the ankle. High quality synthetic materials and leather insole.